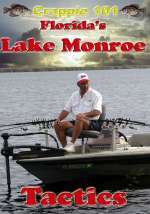 Come and join Crappie Pro Denny Tittle as he teaches you all the basics of one of the top Crappie lakes in Florida, Lake Monroe. This multi-tournament winner not only discusses this lake formed by the St. John River and it’s fishing characteristics, but also reveals the types of Rods, Reels, types of natural & artificial baits and how to work them, Rigging techniques, color selection, locating good Crappie structure, Boat control, and much more. Denny even discloses some great fishing areas around the Lake Monroe area. You can’t help but catch more Crappie with Denny’s expert instruction. 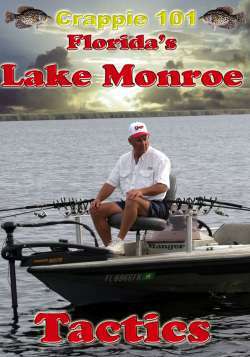 Join Crappie Pro Denny Tittle as he teaches you all the basics of one of the top Crappie lakes in Florida, Lake Monroe. This multi-tournament winner not only discusses this lake formed by the St. John River and it’s fishing characteristics, but also reveals the types of Rods, Reels, types of natural & artificial baits and how to work them, and much more. Denny even discloses some great fishing areas around the Lake Monroe area.